Our new signature bike trail, the Granite trail is now open. 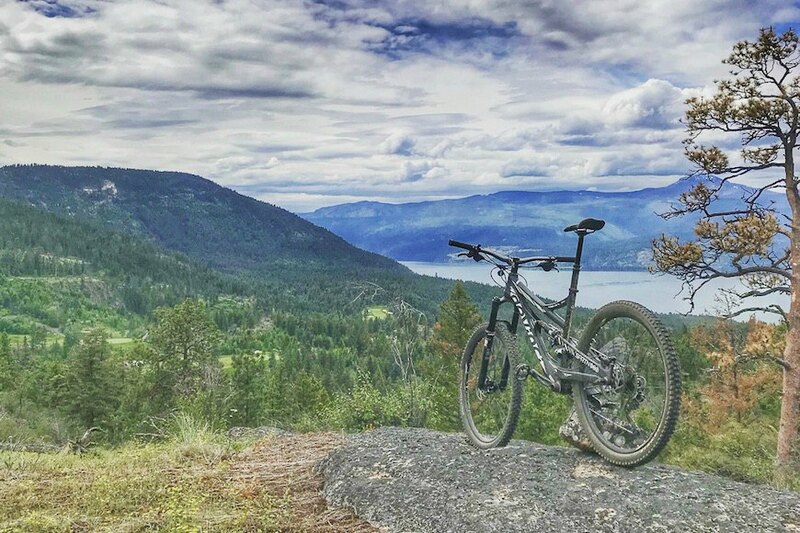 This 4.1km trail was built by acclaimed local trail builder Cam Sorensen and has it all, a fast flowing descent, smooth rock slabs, snappy berms, punchy climbs and views worth packing a picnic lunch. The name does not say it all in this case but yes there are a few great rock slabs to ride! Granite will become the showcase trail for Predator Ridge if not the Okanagan. Once the word is out people will come far and wide to ride the trails Predator has committed to building. Granite is set as a primary down trail but it you have the skills and lungs of steel it could be climbed. There is some exposure on the trail so look before you leap as some of this trail is built on a cliffs edge, literally. This is a big factor on why it is getting the expert designation, most the hard slabs do have go around but this trail is definitely for the discerning of mountain bikers.